MS Antivirus / WinPC Defender is one of fake antivirus programs. MS Antivirus widespread professional appearance and can block the active antiviral. This rogueware is marketed with names like “System Security” or “WinPC Defender”. Solution: if you are infected with this Rogueware, you can remove with the help of special tools – WinPC Defender Removal. Check out and get how to remove it manually and automatically. Security Tool is also known as total security. This rogueware can mimic Windows security alert. Also it eliminates icon on the desktop, displaying a blank desktop, and slows down the system. Solution: if you are infected with this Rogueware, you can remove with the help of special tools - Total Security Removal. Check out and get how to remove it manually and automatically. Internet Security is one of fake antivirus program, also known as IS2010. Its main characteristic is that after installation, this rogueware smuggle malicious scripts are useful for blocking Youtube, Facebook and other famous sites. The Blocking is to force users to buy Full version. Internet Security 2010 will display many fake error messages such as when running almost variety of Media Player also display notifications from Windows Taskbar. 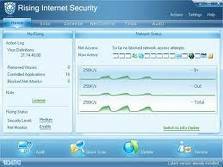 Solution: if you are infected with this Rogueware, you can remove with the help of special tools - Internet Security 2010 Removal. Check out and get how to remove it manually and automatically. Anti-Malware Defender is a fake anti-spyware program. this rogueware is disguised as “Windows Defender” from Microsoft. View of this rogueware indistinguishable for an inexperienced user. When you enter into PC, this rogueware will block browser and constantly display a virus warning. 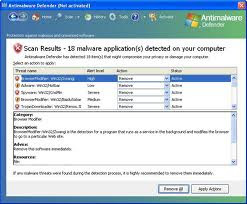 Solution: if you are infected with this Rogueware, you can remove with the help of special tools - Anti-Malware Defender Removal. Check out that and get how to remove it manually and automatically. User Protection is one of fake antivirus programs. This rogueware propagate themselves in the form of fake video codec is manipulated through the website. User Protection reduces system performance, even causing Crash.